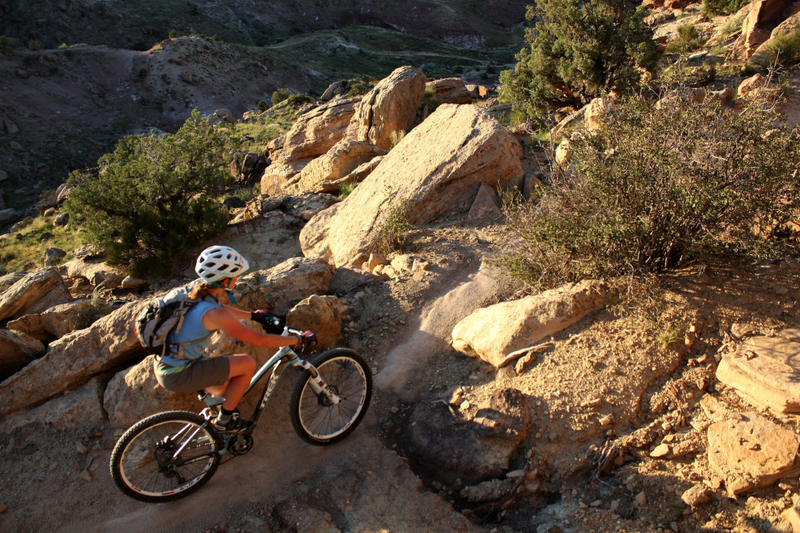 If you’re looking to feed your stoke for multi-sport adventure in one compact spot, Grand Junction is calling. About a four-hour-plus drive from Boulder, this sporty town in the Grand Valley has all the makings of an adventure-centric weekend getaway: hiking, biking, paddleboarding, camping, even wild horses. The spectacular geography alone is worth a visit. On one side, the red rock walls of Colorado National Monument stretch skyward, creating scenes befitting of postcards. On the other, the softly etched slopes of the Bookcliffs catch the sun’s rays in most enchanting ways. Meandering through town, meanwhile, the Colorado River beckons paddling enthusiasts. In other words, Grand Junction makes for a grand getaway that you can still squeeze in before summer is out. Load the car with your paddles, fat tires, and hiking shoes, and prepare for a weekend escape that will leave you begging for more. Here are some great ways to get after it on a Grand Junction weekend trip—do them all, or pick and choose. No matter what, you’re bound to have a superlative weekend here. The red rocks of Colorado National Monument are captivating, especially when explored on foot. Immerse yourself in this magical landscape, feeling the sun’s heat, powdering your shoes with desert dust, and smelling the aromatic sage as you shrink to insignificance in the shadow of towering rocky spires. To burn up a good chunk of your morning, hike up Monument Canyon, a real jaw-dropper that dares you to hold back your awe. The trail is 5.5 miles one-way (from the Lower Monument Trailhead to the Coke Ovens Trailhead), so either shuttle a car or prepare for a stout outing. Tackle this route in the early morning if possible; once the sun is high, heat radiating off the rocks makes it a real cooker. If you want shave mileage or take refuge in some shade, bang a right at Independence Monument, an imposing monolith that’s 2.5 miles up from the lower trailhead. Then follow the rough trail (read: not maintained) 2.5 miles down Wedding Canyon. Either way, keep an eye out for desert bighorn sheep. 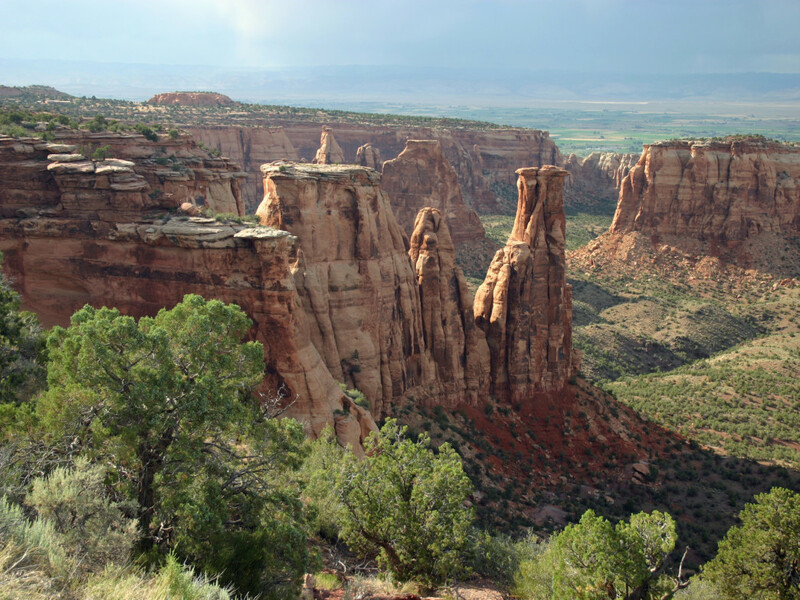 Note: The entrance fee to Colorado National Monument is $10. The campground ($20/night) is a good place to bunk down for the night. You won’t find any cakewalks at Lunch Loops , but then again, you don’t come to the desert for dessert. This spaghetti-like labyrinth of mountain bike trails will test your technical skills with rocky ledges, exposed drop-offs, and steep terrain. There’s even a trail called Pucker Up, a downhill-only route. To survey what you’re in for, drive through the east entrance of Colorado National Monument and glance down on the dry, shrubby hills of Lunch Loops from Rim Rock Road. The least technical options are near the base in the Three Sisters area. If staring at the trail map makes you dizzy, call up the folks at Desert Rat Tours to guide you. They also offer a shuttle if you want to do the Ribbon, a slickrock-laden gem that starts from the south and offers expansive views of the Grand Valley as it descends 1,500 feet to end at Lunch Loops’ Little Park Trailhead. Looking for something a little mellower? 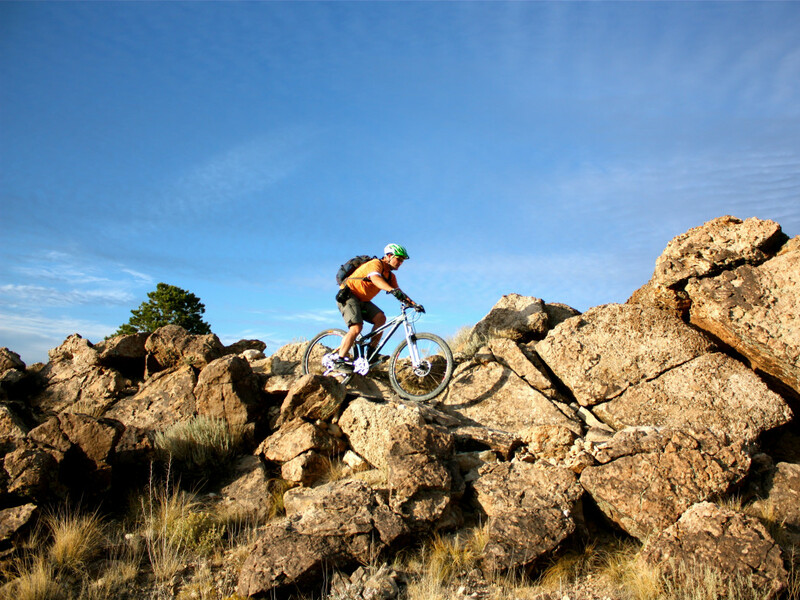 Check out the trails at 18 Road outside of Fruita. It's hard to imagine an experience that evokes the sense of adventure and wanderlust of the Old West more than riding a horse through the desert amidst wild mustangs. 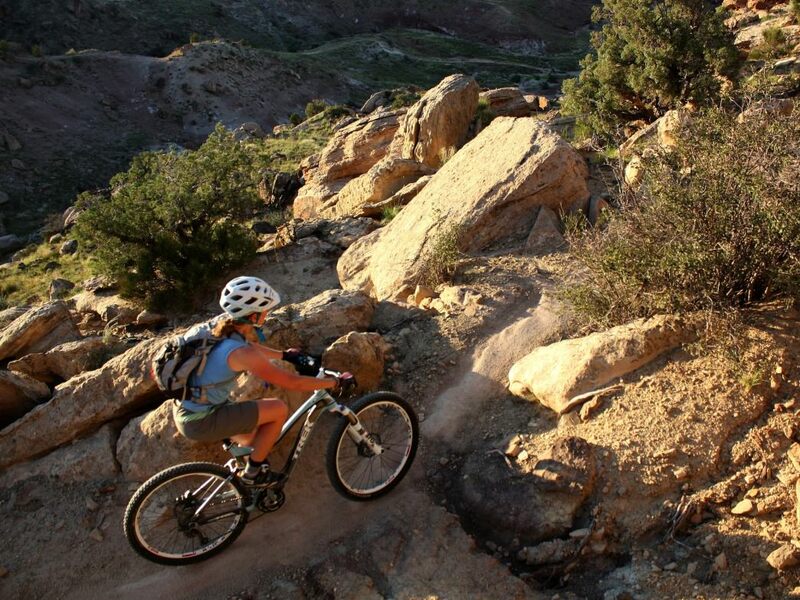 But good news for Grand Junction adventurers: Yes, you really can saddle up and do this. 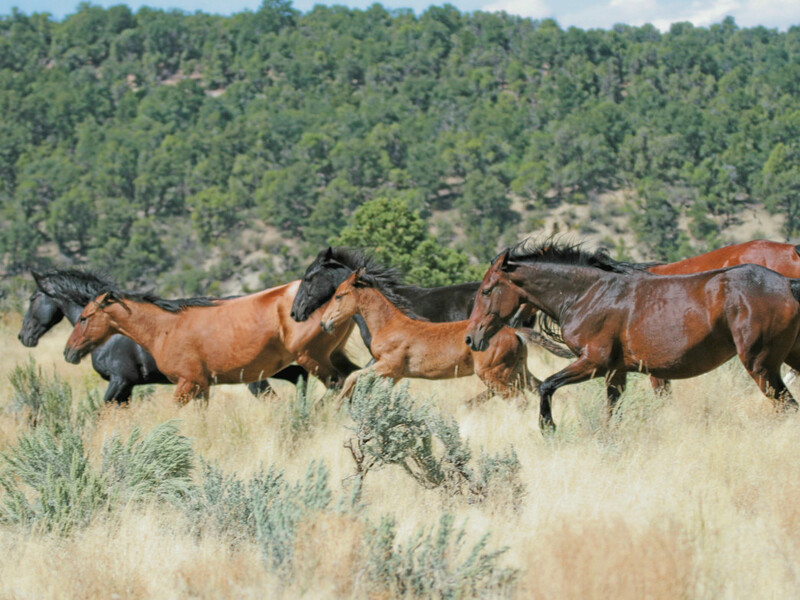 Just a short way from downtown Grand Junction, more than 100 wild horses roam the Little Book Cliffs Wild Horse Area, one of just three spots in the United States set aside for these escapees from Spanish explorer times. 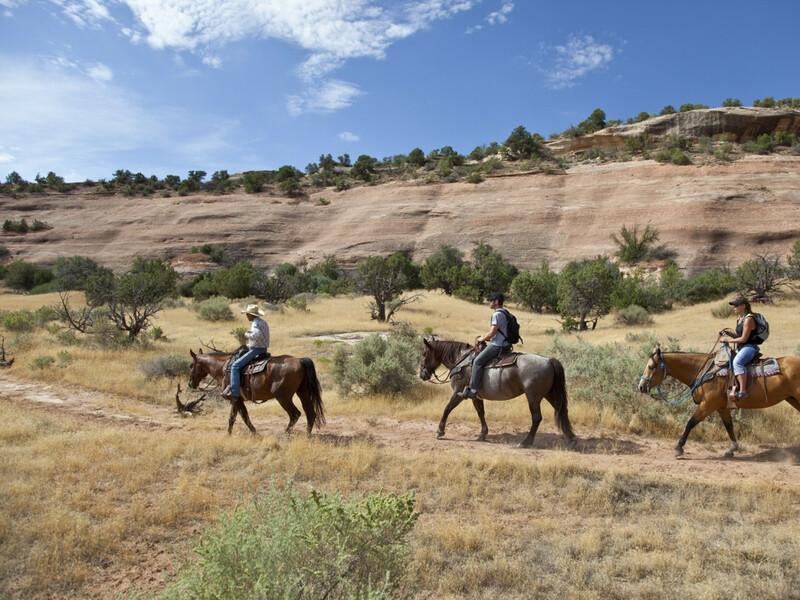 If you’re ready to giddy-up, call Rimrock Adventures , which offers daily rides at 3 pm that typically stay out as long as it takes to spot a band of horses—or even two (usually 2-4 hours). Chances are you’ll get a good glimpse of wild horse behavior, and you might even be lucky enough to see two stallions sparring over some horse business. Don't forget your camera (and your cowboy hat). After a couple of days of action-packed adventure, a leisurely float down the Colorado River is a great way to kick back a bit. 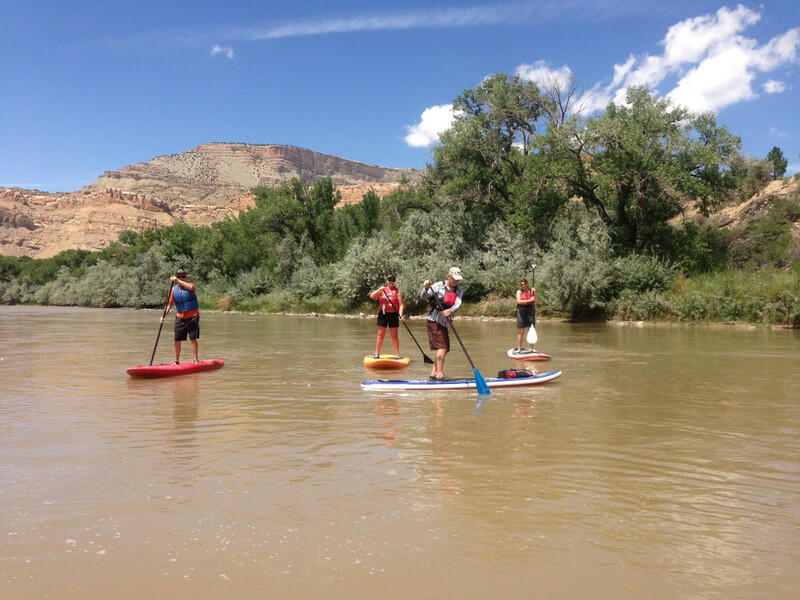 The 8-mile stretch from Palisade to Grand Junction is perfect for stand-up paddleboarding. Allow a couple of hours for the journey, which starts at the base of the Bookcliffs and drifts past wildlife and waterfalls on the way to Corn Lake in James M. Cobb Colorado River State Park. Put in at Harky’s Launch at Palisade’s Riverbend Park (take Highway 6 out of Grand Junction, then turn right on Shiraz Drive, and right onto Rodeo Road). If you need to rent a board, stop in at Rapid Creek Cycles at 3rd and Main in Palisade on your way. They’ll set you up and can shuttle you back if you need a ride when you take out. They also offer guided trips until October 1. If you’re on your own on the river, watch for the two bridges—your cue to head for the boat ramp on the right, which is Corn Lake. If you leave a car here, you’ll need to buy a $7 parks pass. 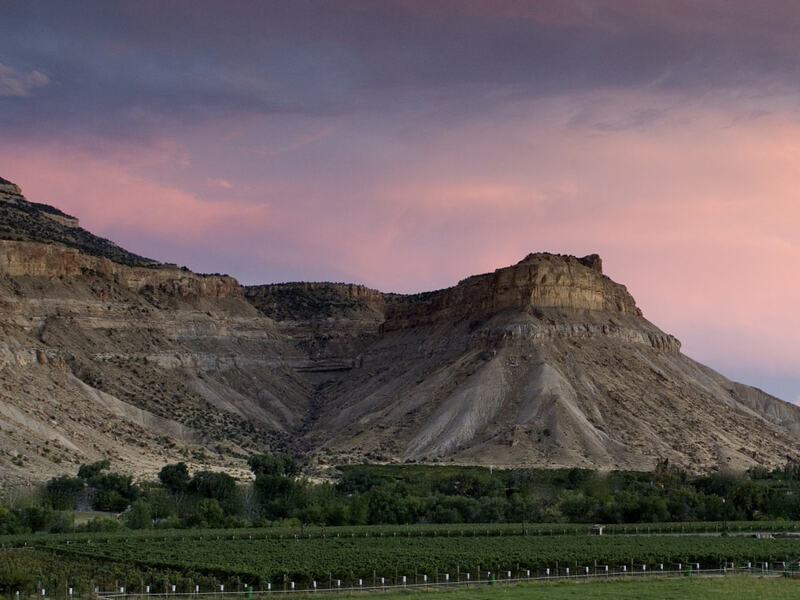 Just 20 minutes down the road from Grand Junction, Palisade is known for peaches, but this sunny fruit basket also produces grapes by the bushel—and wines, too. What better way to wine-d down the weekend than to sample a few of the local varietals? If you want to tour the area’s vineyards, check out Canyon Wind , Plum Creek , and Garfield Estates . Canyon Wind is especially compelling, with weekend tours that include a visit to its underground cellar—the only one of its kind in Colorado. During the behind-the-scenes production tour, you'll sip straight from the barrel. Maybe time this for when you’re picking up your car in Palisade post-SUP? If you’re in town September 17-20, be sure to check out Grand Junction’s Colorado Mountain Winefest, the state’s largest and oldest wine festival, complete with tastings, seminars, and a grape stomp. There’s no better way to celebrate the harvest season than raising a glass and joining right in.